I spent a lot of my life in Des Moines, Iowa and was recently back in town for a quick visit. 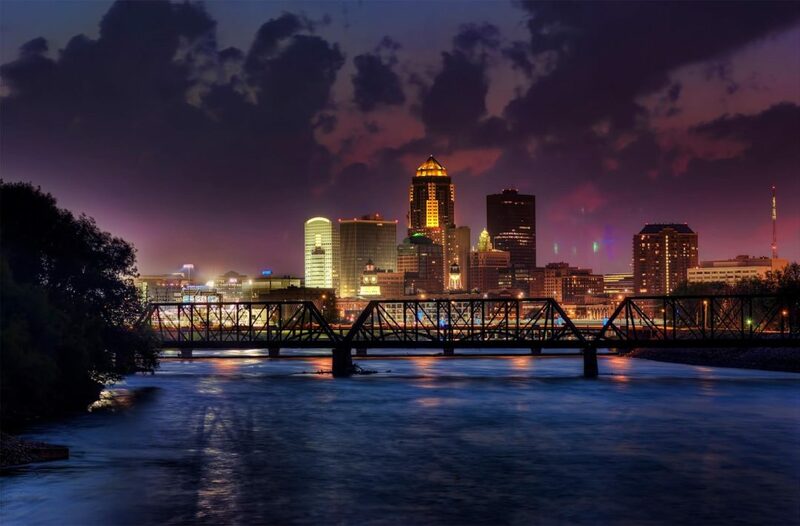 Des Moines is a city unlike any other. 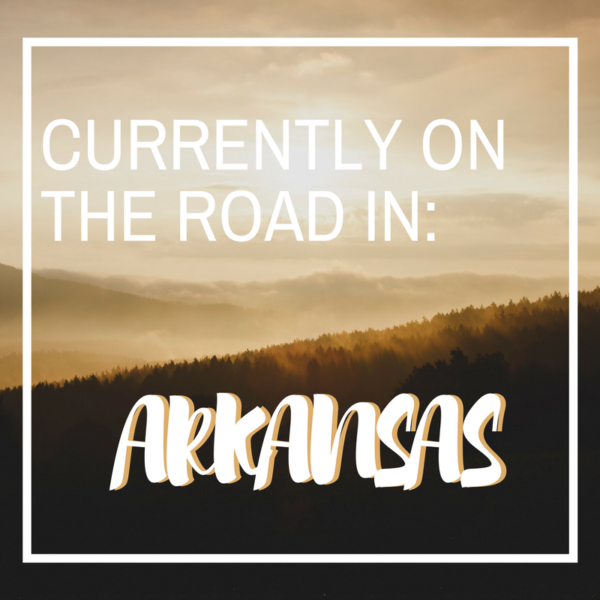 Here you’ll find small-town charm mixed with big city vibes, the friendliest people, and tons of unique cultural experiences. 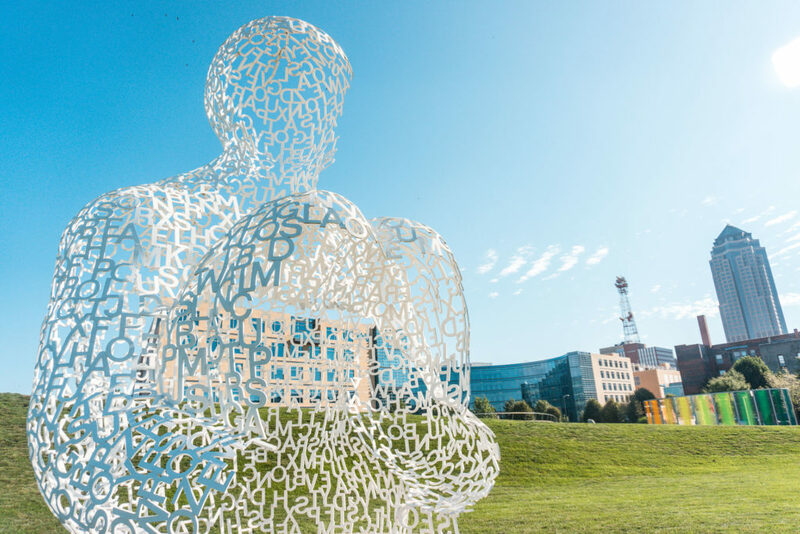 These 9 places around or near downtown Des Moines are some of my favorites, and you’re sure to fall in love with them too. In this 4.4 acre park, you can enjoy viewing the works of some of the world’s most celebrated artists. But people also come here for more than just the art. 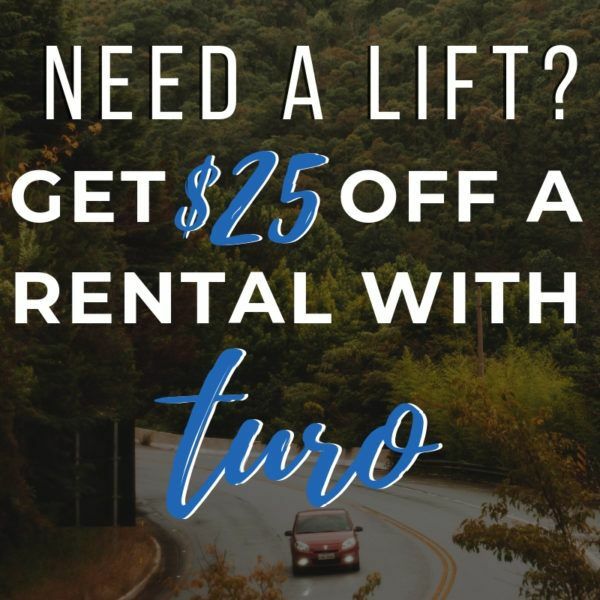 Here you can also take in a view of the downtown Des Moines skyline or have a relaxing picnic with your significant other, friends, or family. Live to be a lifelong learner? 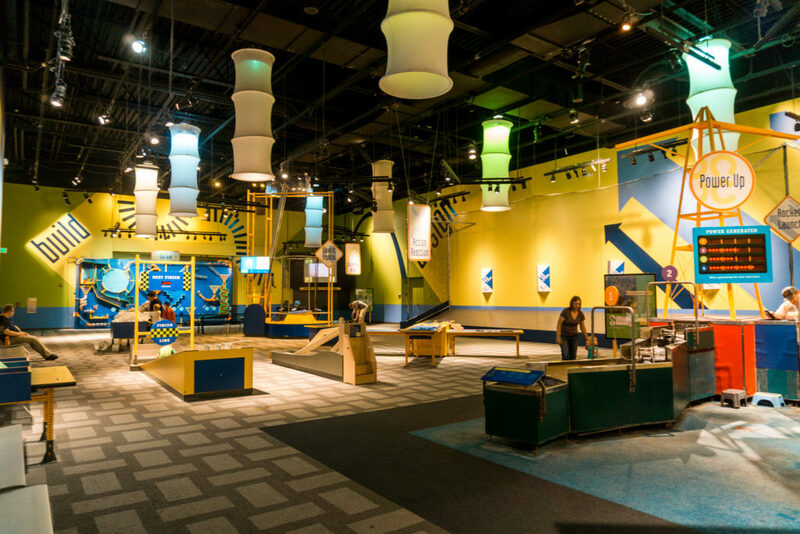 Explore the many mysteries of science and technology at the Science Center exhibits including force and motion, a planetarium, zoology, meteorology, and others interactive activities. 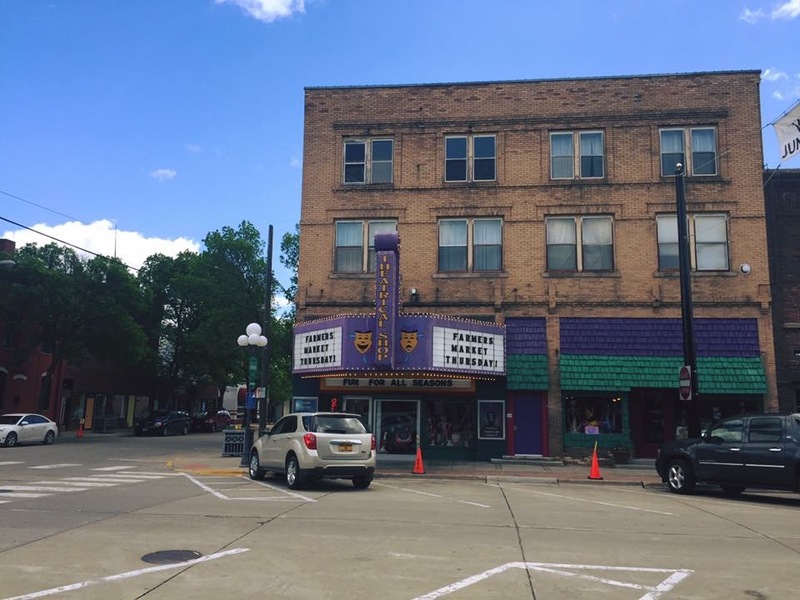 But something else that makes this place special is the six-story IMAX Dome Theater that is usually showing one current hit and a few other documentary-style films related to science or nature. 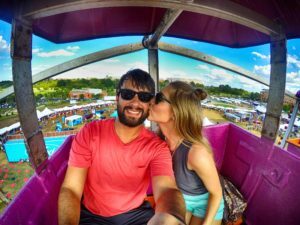 Regardless of your experience here, it’s fun for all ages! This charming renovated railroad district in Downtown West Des Moines is full of charming boutiques, art galleries, antique shops, restaurants, and other specialty shops. 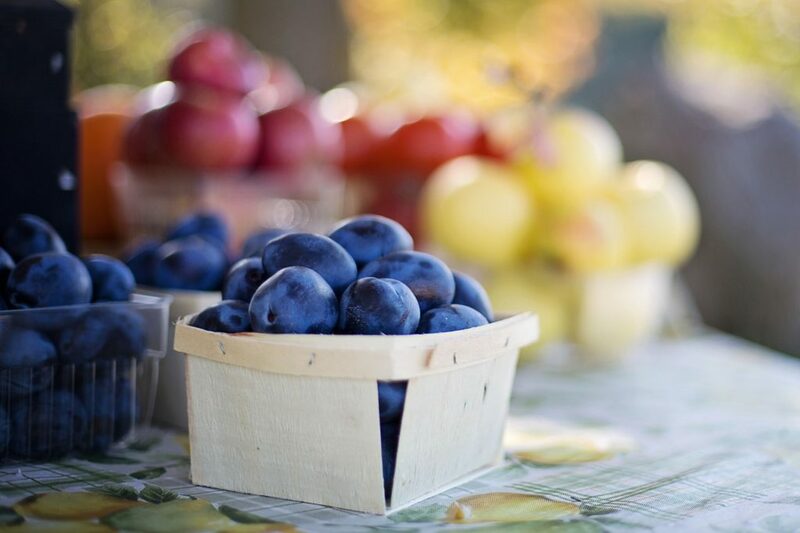 On Thursdays in the summertime, you can visit the Valley Junction Farmers Market where vendors come from all around to sell fresh produce, baked goods, beautiful fresh cut flowers, and unique crafts or jewelry. Support local farmers and businesses with this one-of-a-kind farmers market in Downtown Des Moines. The Market offers a variety of locally grown produce, Iowa fresh cut meats, live music, and more. Sip on a fresh squeezed lemonade while browsing through the many unique goods and food stands. 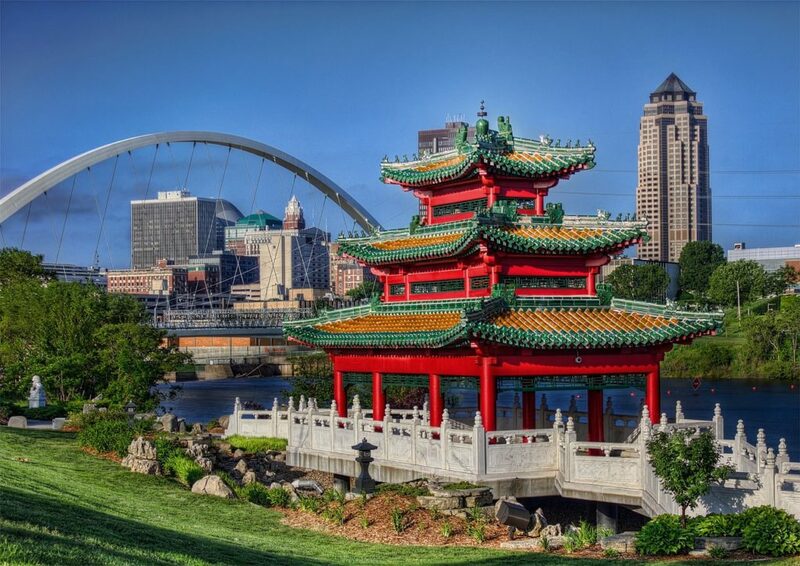 The Chinese cultural center of downtown Des Moines offers a stunning Asian pavilion, lush gardens, a tranquil pond, and several small waterfalls. The Character Garden displays six granite boulders arranged in a circle and are carved with the Chinese characters representing citizenship, responsibility, fairness, respect, caring, and trustworthiness. Escape the downtown hustle to this small place of solitude. 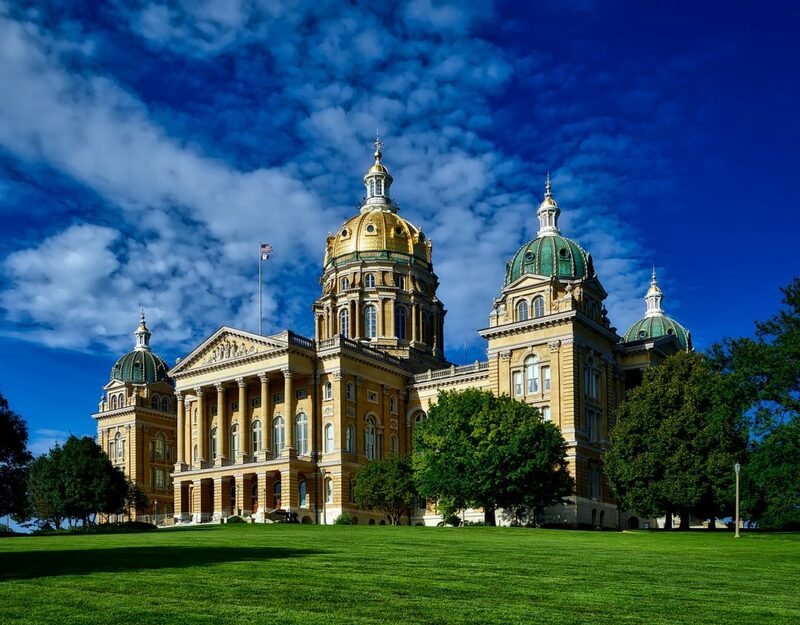 The Iowa State Capitol Building may not be something that would normally intrigue most travelers, but it has wildly beautiful architecture on the outside and inside. On the outside you’ll the 23-carat gold dome can be seen from many places in downtown Des Moines as it glistens in the sunlight. Schedule a guided tour of The Capitol and see the governor’s office, legislative areas, and the old Supreme Courtroom. 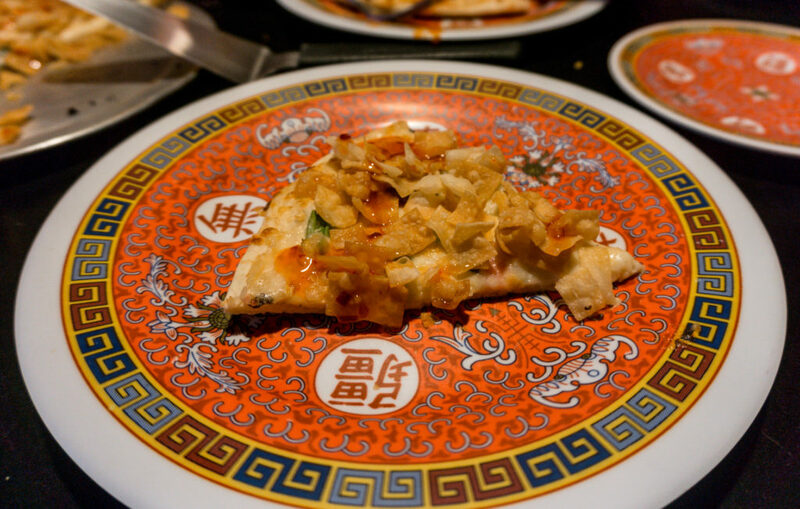 Before Fong’s Pizza was Fongs, it was King-Ying-Low, the oldest Chinese restaurant in downtown Des Moines since 1908. After King-Ying-Low closed, Fongs was born. Inspired by the Asian decor, the local owners decided to preserve it and thus creating a unique pizza joint complete with Asian-inspired pizza like the Crab Rangoon or Sweet & Sour Chicken, and appetizers like the Chinese Cheesesticks, which are mozzarella sticks wrapped in egg roll wrappers. This “post-apocalyptic chic” restaurant in downtown Des Moines’ East Village offers intriguing combinations of burgers, including vegan options; and hand-mixed shakes (spiked or not!). 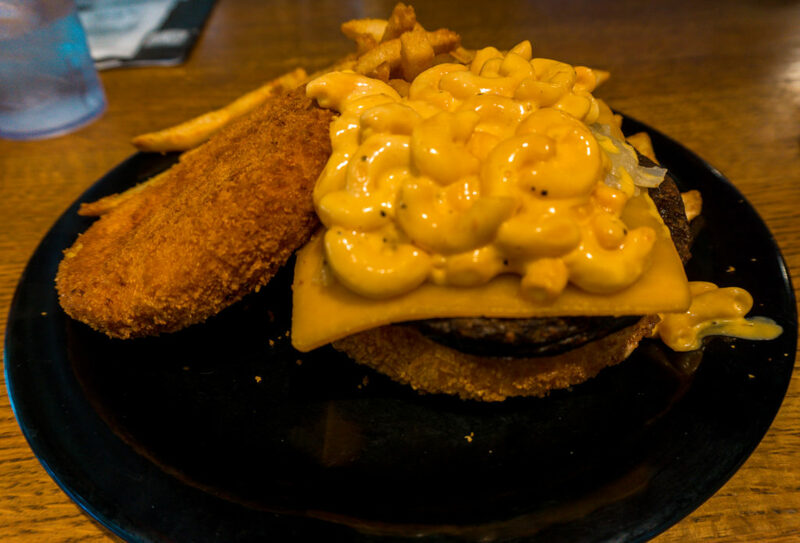 Try out The Walking Ched, which includes a bun made of fried mac & cheese or They’re Coming To Get You Barbara, which has a bun made with grilled cheese sandwiches. GASP! 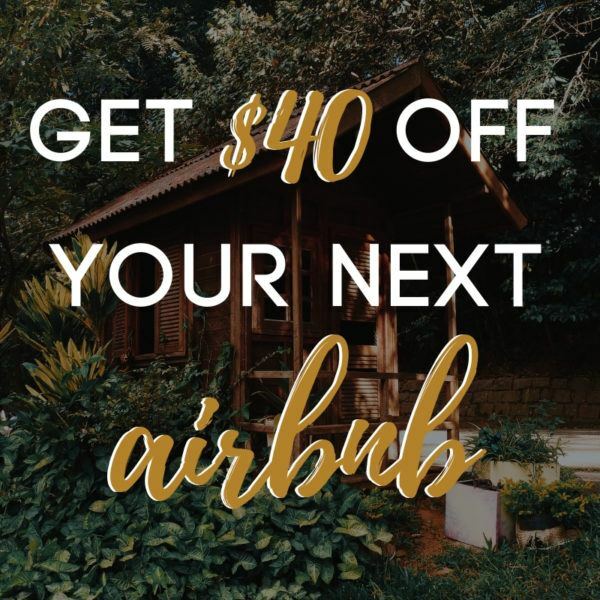 Looking for a one-of-a-kind souvenir cause you’ve been blessed by the Midwest? Check out RAYGUN. 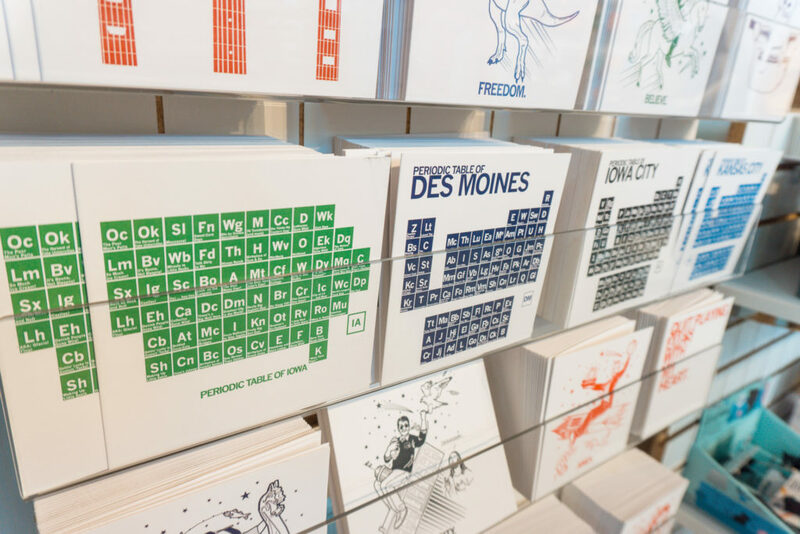 Also in downtown Des Moines’ East Village, RAYGUN offers hilarious, sarcastic, and at times, thought-provoking designs on t-shirts, coasters, cards, sweatpants, glasses, mugs, and SO much more. 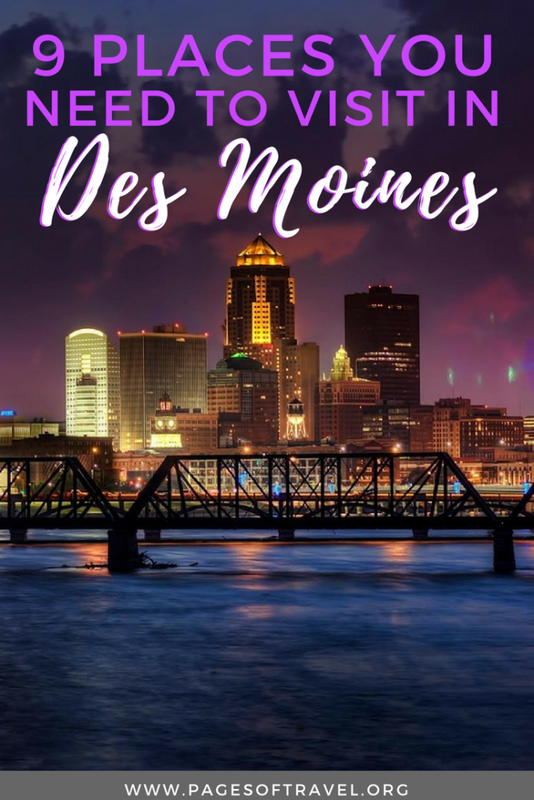 So, are you ready to see that Iowa is more than “just cornfields?” If so, make one of your next stops downtown Des Moines!